You’re wondering, “Why would I want to run a life coaching business?” right? A life coaching business is the ultimate self-improvement journey… you can’t really master something until you’ve coached someone else on mastering it. When you’re a life coach, you’ll have to walk your talk, and your clients know the difference if you don’t. Running your own life coaching business is a great reason to have a great life and be happy! The greatest joy of running a life coaching business is the honor and privilege of seeing your clients grow stronger and happier. When you see someone happier, what do you feel? Happier, of course. When you see someone strong, you feel strong, etc. You’ll experience all the joy, excitement, and fun of every one of your life coaching clients. Even better, you get to experience their special flavor of joy, love, etc. The second greatest joy is feeling the ecstasy of knowing that you helped another soul improve their life. You’ll feel their gratitude, as well as you own gratitude for having the privilege to serve another human being, yourself, and the greater good. You really ARE making the world a better place. Finally, let’s not for the last benefit: MONEY. Yes, you actually GET PAID FOR THIS! It seems ridiculous, but you actually get paid lots of money to wake up in the morning, saunter into your own private office, pick up the phone, help people, grow yourself, and feel proud for changing the world. What is a Life Coaching Business? A life coaching business is the profession of guiding, supporting, counseling, and tracking the life of your client… for fun and profit. As a life coach, you’ll work with your client on practically every area of their life. …and give support to your client. All these things need to be given at a level of intensity and quality that is way beyond what your client would ever expect from a friend, family member, or business associate. That’s why YOU get paid and THEY DON’T. Should I Start a Life Coaching Business? Is it a MUST for you to change the world? Is your biggest thrill helping someone else with a problem or goal, especially if no one else can solve it? 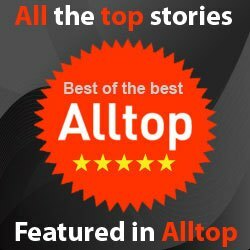 Is your life already great (or do you have a deep need to improve it, i.e. make your own life extraordinary)? Do you enjoy listening to another persons stories, problems, and dreams? Do you enjoy giving advice? Can you deal with a fair amount of rejection (at least rejection of your ideas)? Have you already undergone a fair amount of ‘life training’ or personal development training (or are you currently going through this process)? Does the idea of a pure ‘service business’ interest you? Are you willing to be creative in your business plan, rather than have a ‘cookie cutter’ formula for your business success? If you answered ‘yes’ to most of the questions above, then you should get started with your life coaching business today. Why wait to do what you’re destined to do? Setting up your marketing process and materials. Some of these activities will be enjoyable for you, and some of them will be challenging, boring, or even scary (I know they were for me). If you’re still enjoying the ‘good parts’, then don’t let anything stop you from continuing your journey towards your ultimate vision of your life coaching business. The only thing that can stop you from your dream coaching business is YOU. You may or may not need this stage, depending on your own level of personal development. In this stage you prepare yourself and your life to become the life coach for your clients. Part of this is getting your own head on straight. The other part is getting your life on track. This doesn’t mean that you’ve got to become Buddha or that you now need to go out and achieve the perfect life (far from it), however, you need to do your utmost to play at the highest level possible in your own mind, body, soul, and external life. Sometimes, the preparation stage means making major changes in your life situation, and sometimes you’ll need to add some coaching and training to the mix to complete this stage successfully. My life was definitely not perfect when I finished the preparation stage. I was living in a trailer. I had about $7,000 in savings and no other net worth. I worked for hours on my own values, beliefs, and vision. I ended a relationship that was abusive. I started getting regular exercise. These small steps got me going in my life coaching business and moved me from the ‘hypocrite zone’ to a ‘determined wanna-be’. In the learning stage, you’ll do just that… learn coaching skills and application to real-world coaching scenarios. Sometimes this will just be practice-coaching (perhaps in a coaches training, or with a friend), but you’ll begin to really coach people in this stage. Also, this is the stage where reading, studying coaching, and getting training to be a coach (or even coach certification) would be done. In the launch phase, you announce your intentions to the world that you are a life coach, and begin acting on those intentions. This is the stage where you network, sell, market, and begin to build your business. I found this to be the hardest stage. Why? Because it’s the time when people are the most doubtful as to whether or not you’re really serious (or even that you can pull off a decent coaching session). Usually, in this stage, a coach will make between $3,000 – $7,000 per month. All you’re doing is coaching clients one on one. 2) Do an even better job coaching and managing your client relationships. A coach that knows what they’re doing in the ‘group coaching’ phase can make between $10,000 – $100,000 per month (I personally made over $30,000 / month by mastering this phase of my own life coaching business). In the ‘products & training’ stage, you’ll turn all the knowledge that you’ve gained in your coaching, and form it into a stellar product. This product can be sold over the internet and/or during speaking engagements. You’ll also most likely be in demand for trainings and workshops. You’ll find that you can help even more people by offering products and trainings to your clients and prospects. (I’ve trained as many as 500 people at a time.) The other cool benefit of offering products and trainings is that you’ll get plenty more excited prospects for your one on one and group coaching (when people experience a product or training, you tend to become a ‘guru celebrity’ in their eyes, which makes it much easier to get them to commit to working with you in your coaching services). A coach that makes it to stage six can expect to make as much money as they’d like (I know coaches that are pulling in over $20,000,000 per year by offering products and training alone). In the business building phase, you’ll turn everything you’ve learned and accomplished in the first five phases into a business. You’ll teach a team to do what you’ve successfully done, so you don’t have to do it yourself. Your team will develop your products and run your trainings. Your team will give the one on one and group coaching. Your team will run the marketing, sales, and administration. You can then do what you feel like doing in your business, rather than working day after day to stay alive and keep the revenue flowing in. A coach that makes it to the business building (team) stage can make as much (or more) than in the other stages, but they’ll get to work when they feel like it, and take the rest of the time off. Personally, I’ve taken as much as 2 1/2 months vacation in a single year by getting my business to the ‘team’ phase. 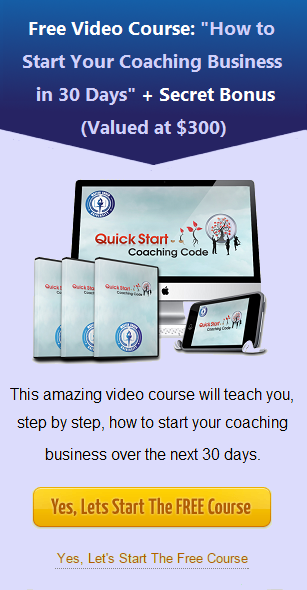 Would you like more information about how to start your life coaching business and get 7 free hours of training videos about how to get started, coach your clients, and begin moving through the six stages of your own life coaching business? Just click the access button below for free immediate access.